There are more than five things i'm loving this week, but... sigh.. i guess i'll stick to my five. The first is this beautiful new color nail polish i bought. Snappy sorbet by a sally hansen collection. I recently went shopping, bought a few peachy tops and can't get enough of the summery feel, not to mention-it makes me look more tan in these months where i'm lacking any tan! if you follow me on instagram you might see some of my new inspiration before anyone else and know that, i'm about to redesign my website! It's been in the works for a while that this needs to happen. I was completely stuck and didn't even know what i wanted. After watching Creativelive with Jasmine Star, i was re-inspired to start my design! i started with an inspiration board. i went into my closest, around my house and snapped photos of the things i loved most and thought showed who i was. the colors are MOSTLY staying the same except for.. MINT! a little pop of color here and there that you'll be seeing. i'm hoping i'll have the new website up within a few months. here's my color palette i made. would LOVE your thoughts! i'll be showing sneak peeks of details as it all comes together! If you've followed my five things blogs for a while, you might remember some of my other books i've shared and a few have been from John and Stasi Eldredge, today's book is no different. I picked up Epic at Savers the other day, i'm only a couple chapters in, but when i love how Eldredge writes, and he mentions Lord of The Rings, there's no going wrong. It's a wonderful little book about your life and the story it holds. i'm constantly looking for more inspiration for my photography and reading and taking in how beautiful life is, ALWAYS inspires. i said i went shopping, i bought mostly pink/peach and a few pops of mint. yes this week has been mint obsession week. it was necessary. and check out that nail polish mentioned above! i also got a cute little mint belt to go with it. Some times, a girl needs to shop a little. Those boots, i've been wearing them a ton! my new favorite outfit. so what started me making that cute palette from above?- Pinterest of course. But i wanted more than the ones being pinned, which is when i actually discovered the fabulous website Design Seeds. Do you have one color in mind? you can find any mix of colors you want which is not only great for design but for weddings! you can see what the colors would look like together and design your own. 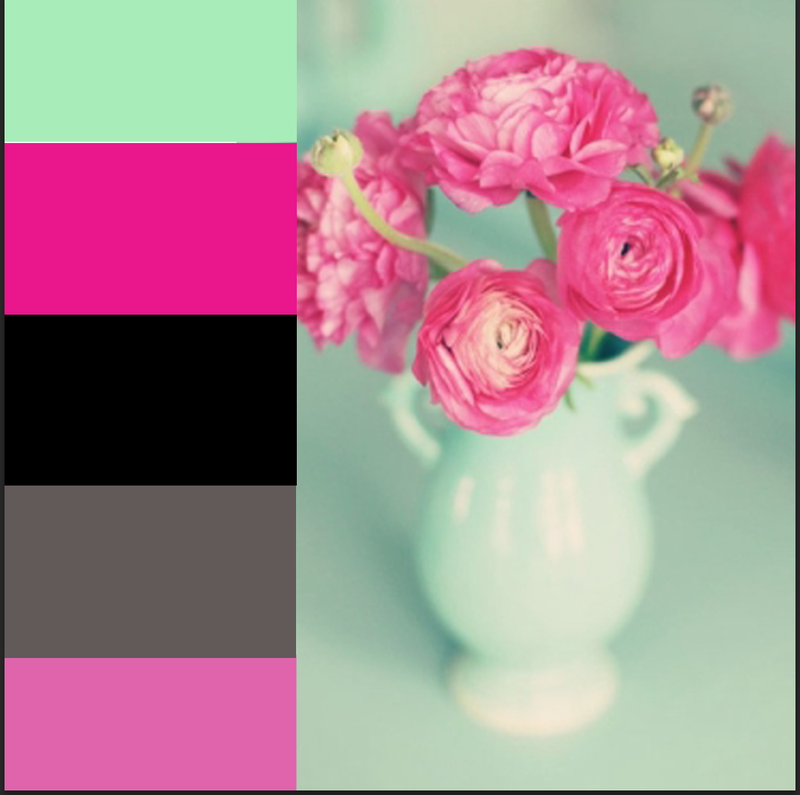 click on the image below to start playing with color for yourself! This week gave me a lot of new ways to be inspired and feel fired up for the new things to come this year! Don't forget to follow Davista Photography on Facebook!- be a good follower, leave some love. -"i wonder what sort of tale we've fallen into? "- J.R.R Tolkien, Lord of the Rings.